Given its relatively short duration it's most likely that the Pretzel Bacon Cheeseburger just didn't sell well as a permanent menu item (or at least, not as well as Wendy's had hoped). It's possible that they'll bring it back yearly the way McDonald's does with the McRib. 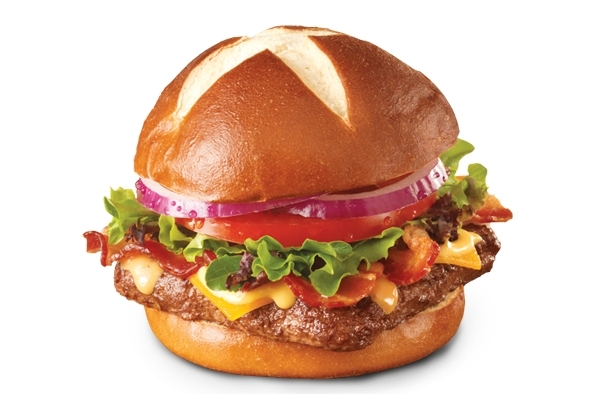 I reached out to Wendy's for comment and a company spokesperson, Frank Vamos, replied, "The launch of the Pretzel Bacon Cheeseburger in 2013 is still one of the most successful limited time offerings in Wendy’s history. As part of our overall strategy, we’re constantly evolving our menu to make way for new, innovative products so we can bring new tastes to our customers." As for the Monterey Crispy Chicken Sandwich, it's made a couple limited-time appearance on the Wendy's value menu so there's a good chance it'll be back at some point.